Custom projects for always my favorite. Sometimes I create one-off pieces just to satisfy my own need to try something new, but at other times I get to build a piece specifically for a customer. That was the case with this mirror that I recently completed. The customer had an old pair of family skis* that they wanted to do something special with, recognizing they would never be used on snow again. After receiving the skis, I sketched out several concepts and they chose the one they liked the most (I also made a wine holder for them with another ski). Below is the final product (laying on a table here rather than hanging).The wood is beetle kill pine, finished with a polyurethane. If you have an old pair of skis, or you just want something unique for your place, please reach out to me to see what we can do. * While I usually provide the old skis for most all of my projects, I gladly accept skis being sent to me to be used in your piece. 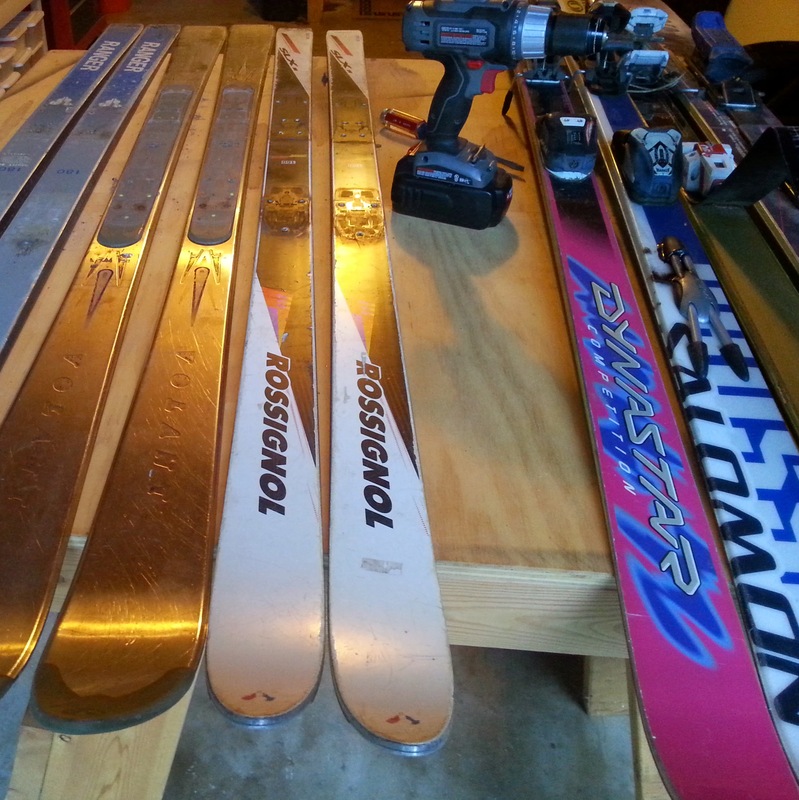 Including skis that you already have had so many stories with only makes the piece that much more unique. Very cool concept (and video) from Signal Snowboards. According to the video at least, a board from old barrels rides pretty well too. The What we make page has been updated to show currently available products. Business card holders, wine holders, and coat racks can be purchased online. When you do, I will confirm which specific one you would like before shipping. Tables, sandwich board signs, and other large items are always custom order. All wall coat racks are 20% until EOY or until stock runs out. See them here.